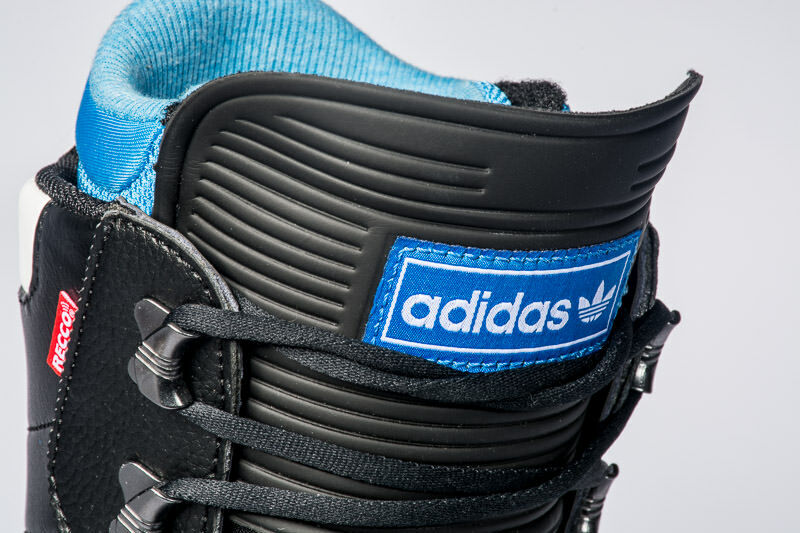 Does Adidas Have What It Takes To Be In The Snowboard Industry? 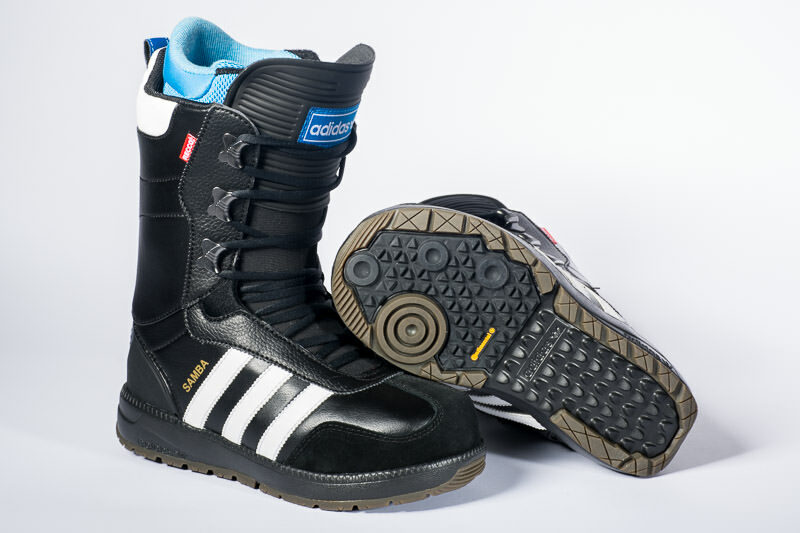 The company introduced not only snowboard boots to the market, but also jackets, pants, onesies, first layers, and even goggles. Being a shoe company first and foremost it is their boots most people are talking about. With a simple line up, men have the option of the Samba in white and black or the Blauvelt in blue and black, while the women only get the Samba W in a white floral print. 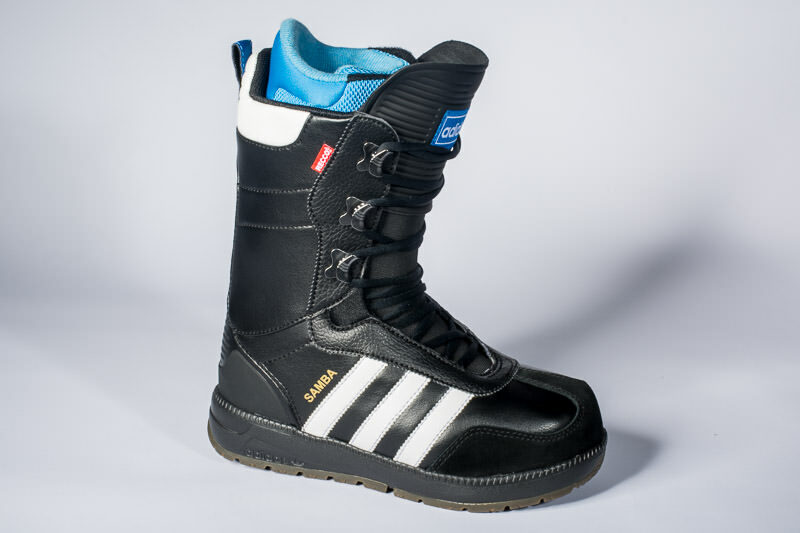 OvR decided it was time that someone did an on hill review of these boots so they grabbed a pair of the Sambas and headed to the mountains. Conditions: Mixed, ranging from spring like conditions to -22F° cold and icy conditions. Comfort: At the initial fitting in the store, the boot was rather comfortable with great arch and heel support. Riding was a different story, as pressure points developed on the right foot in the hindfoot area. I’ve tried different socks, lacing patterns, as well as shifting the inner and outer tongue in hopes to eliminate the pain, but to no avail. The left foot on the other hand has no pressure points and feels great. This leads me to believe that some people might feel pressure points in the hindfoot area and others will not. Definitely worth trying on at your local Adidas retailer. 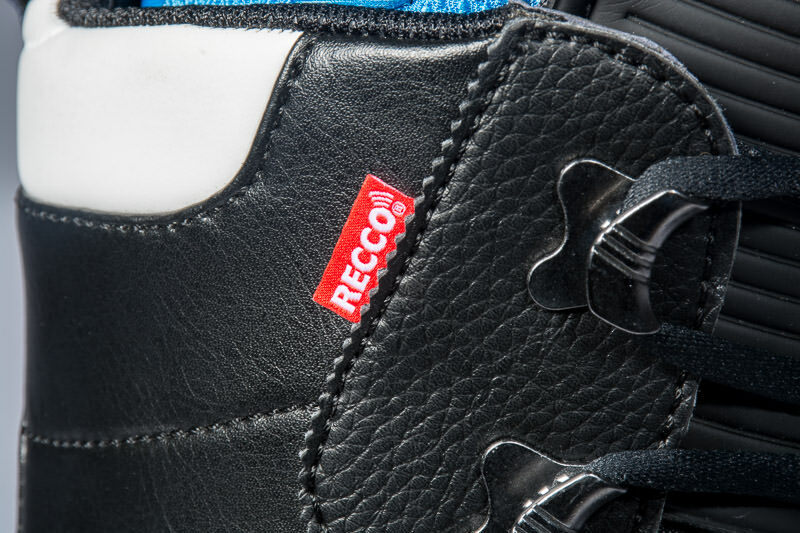 Flex: This boot is a mid to stiff flex, offering an articulated cuff along with a reinforced tongue. Once the tongue material breaks in the boot will transfer to a mid to soft flex. 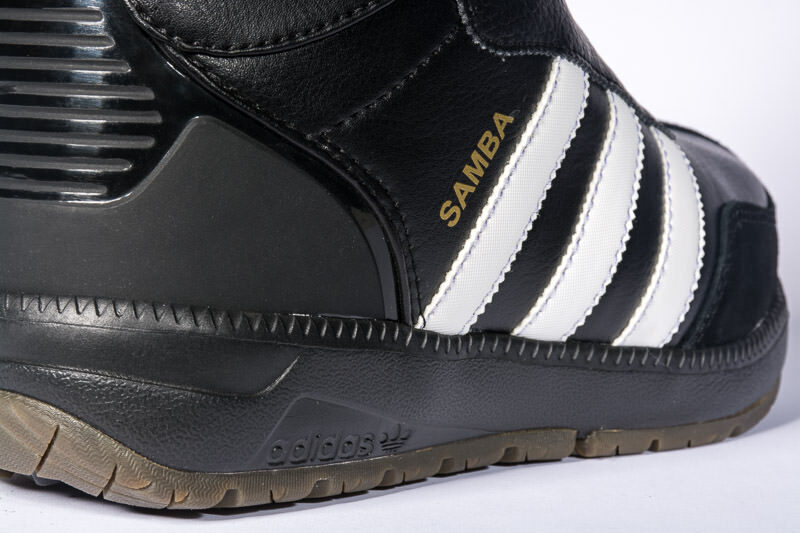 The Samba also has a 3D molded spine which provide support and stability. 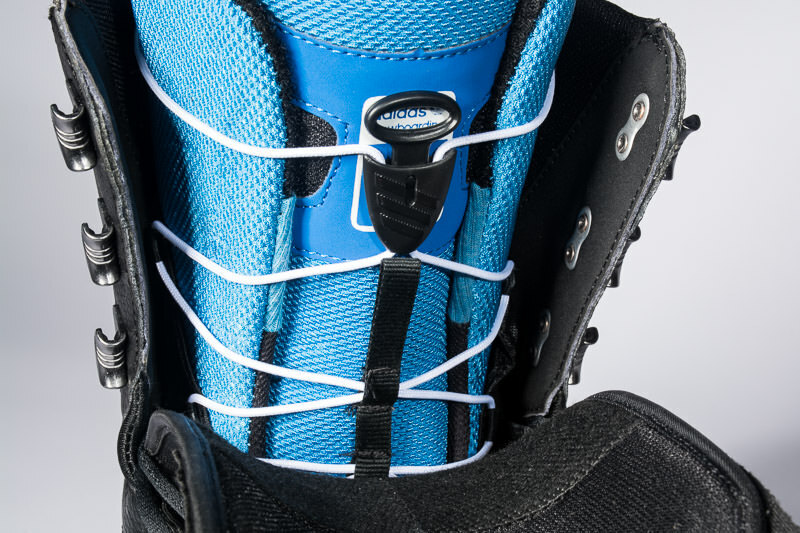 This molded spine aids the boot return from a forward lean. Board Transfer: The boot movement transfers to the board well. Coming from a soft, beaten down boot, it took some time to get use to the immediate response from foot movement to board. This transfer allows for quick turns, but can be challenging when it comes to boxes and rails. Mind you this transfer should mild out once the boot breaks in more. 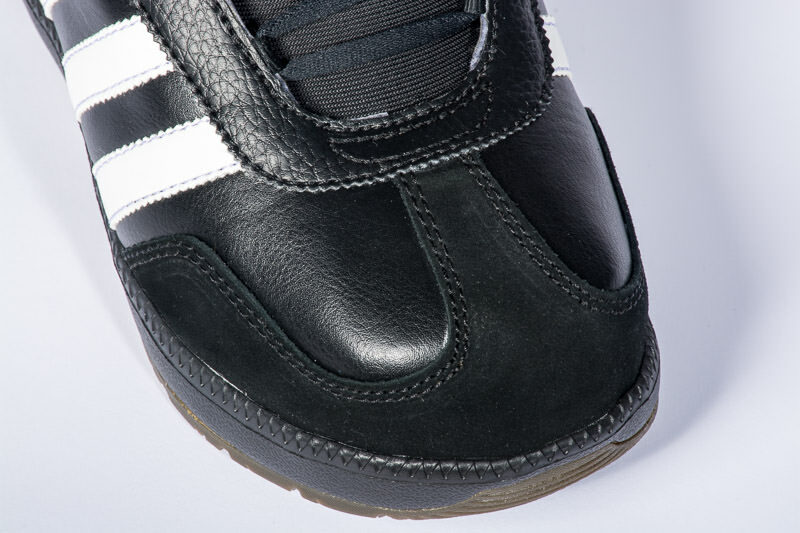 Adjustability: The Samba’s inner lacing system is slightly lacking when is comes to providing ample adjustability to fit around the calf and foot. One small flaw resides with the inner boots Velcro not lining up correctly on the inner tongue. If you are a person who likes to ride a tight inner boot and a loose outer boot, this might not be the boot for you. The outer boot does not provide a “zone” system, but I don’t feel the need to have my lower boot tied differently from my upper boot, so this lack of a “zone” system does not bother me. The boot on the other hand is quite easy to get on and off. 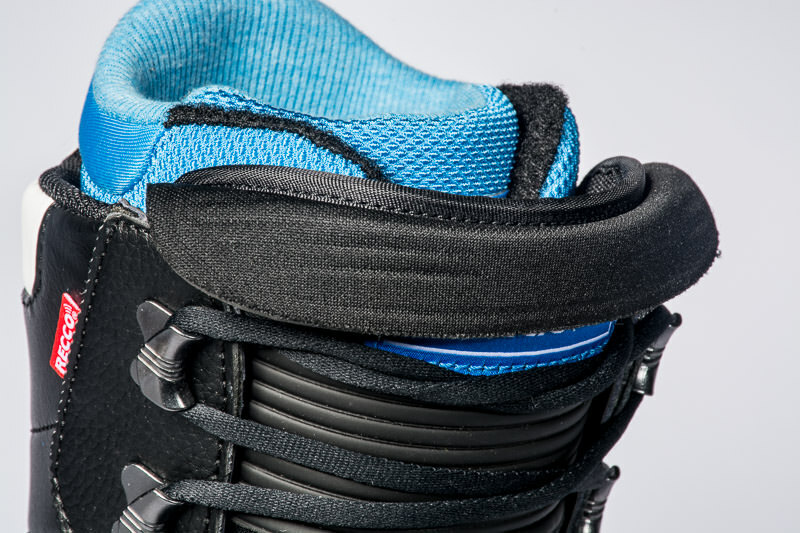 Heel Lift/Ankle Support: The warp around ankle support feels nice and secure. Heel lift is mild through out the day, but might be a bit to much for some riders. The only real noticeable heel lift occurs during deep carves. 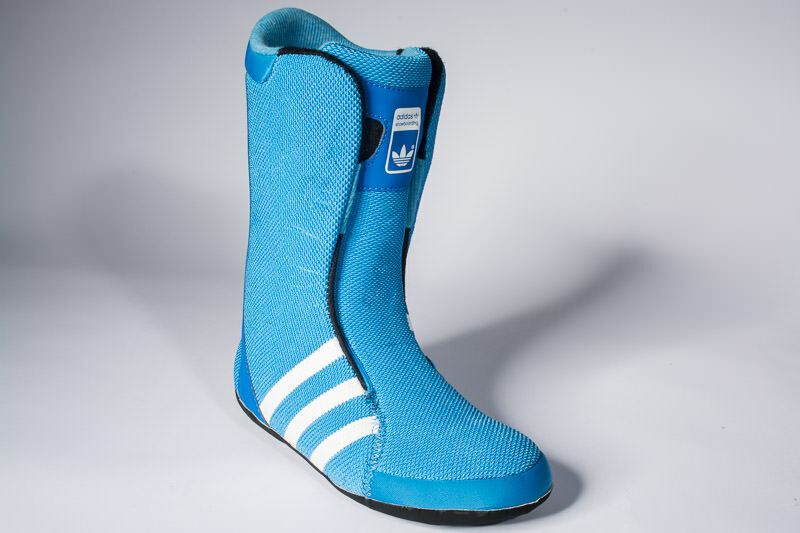 Impact Absorption: Adidas provides the Samba boot with a compression molded EVA mid-sole to help eliminate any foot fatigue from jumps or icy conditions. This cushion definitely does it’s job and my sole felt good through out the day. Style: Major major props to Adidas in this category. 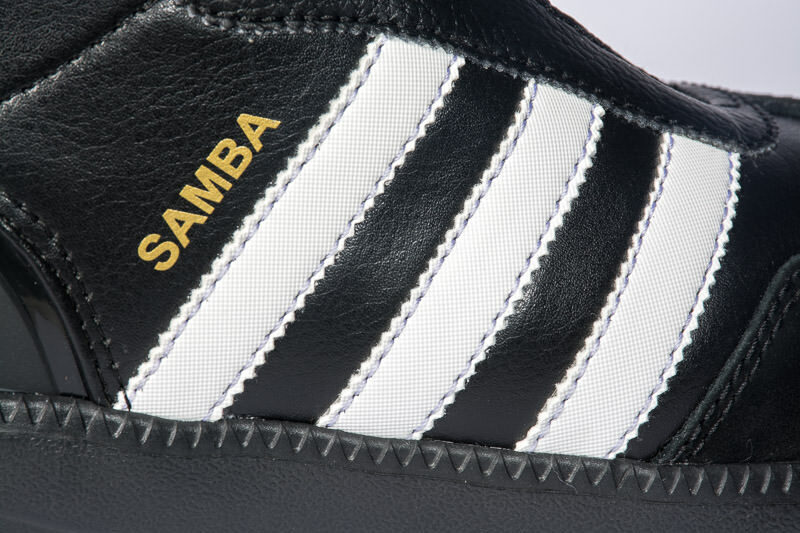 If you are a fan of the Samba or Adidas this boots style is right up your alley. It looks amazing off the foot as much as it does on. 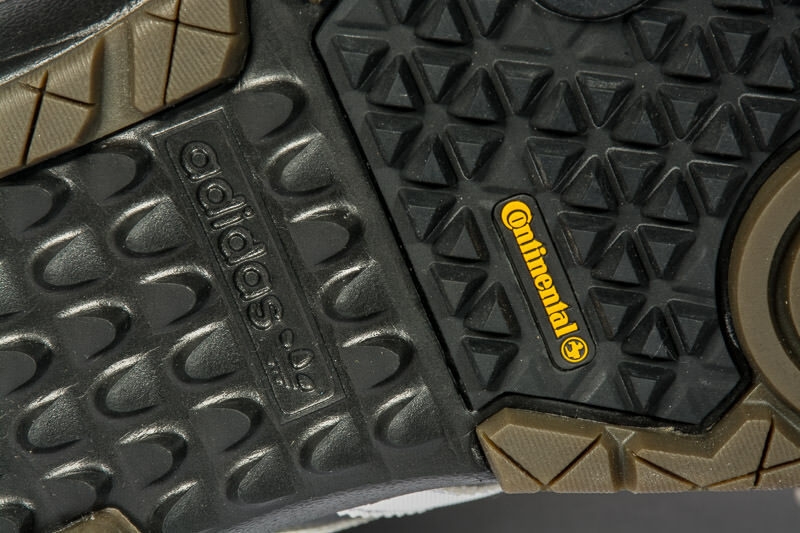 Grip: Adidas uses Continental© rubber for all your gripping needs. 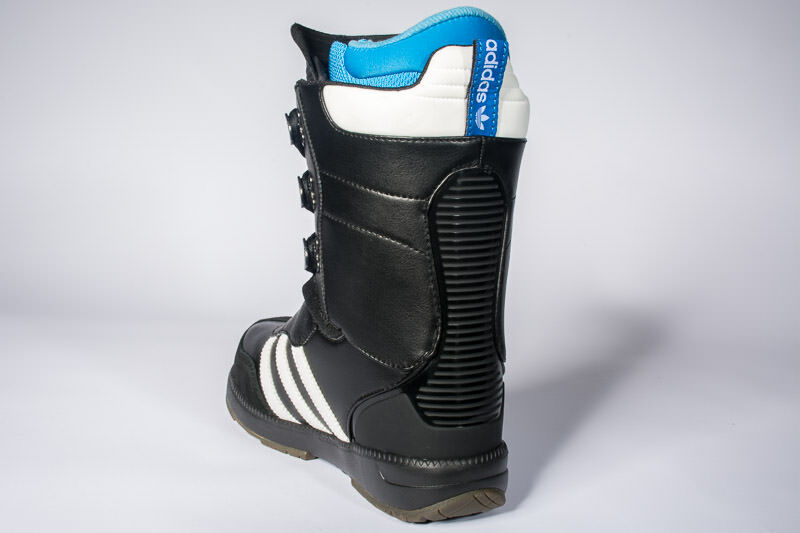 This boot has no problems when it comes to one footing off the chair lift or walking around icy conditions. Warmth: This boot kept my foot nice and warm in -22F° weather. On the other side my foot was not a swamp in spring like conditions. Great all around weather boot. 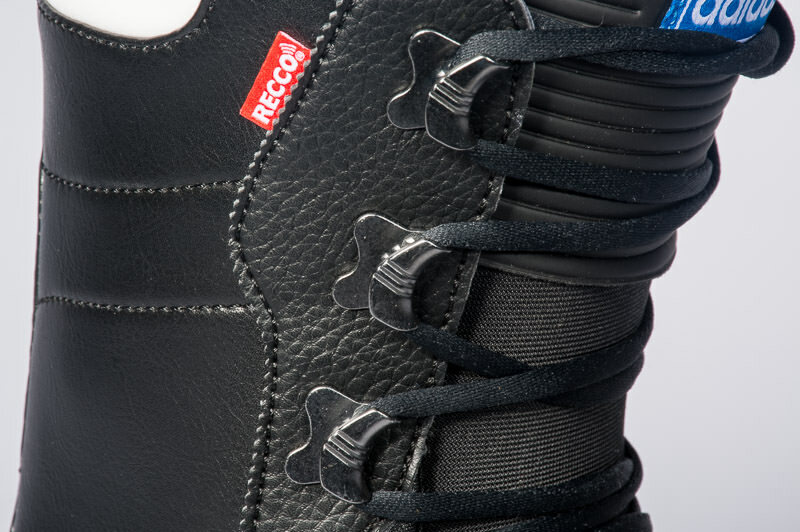 Lacing: Traditional lace up boot with a pull cord inner lacing system. I’m a fan of traditional lacing and lean toward these types of boots. If you are a speed lace fan this might not be your boot. Odor Control: So far so good. Adidas advertises the boot to have “Recycled polyester embedded with recycled coffee grounds to neutralize odor particles, placed on foot-bed and internal liner.” This seems to be working to eliminate odor, but for only riding the boots for five days it’s still too early to determine if coffee grounds cut out odor. Keeping true to the classic with a foldable tongue, suede wrapped toe cap, and showcasing Adidas’ famous three stripes. Fully lined with odor neutralizing coffee compound and featuring a pull cord inner lacing system. Compression molded EVA midsole provides cushion and stability. Wet/dry rubber compound for optimal grip in all conditions. Strategically placed for outsole durability without compromising weight. Micro grooved traction enhancement. Transitional scaled laces and locking hardware. Provides dual zonal tightening for custom fit. 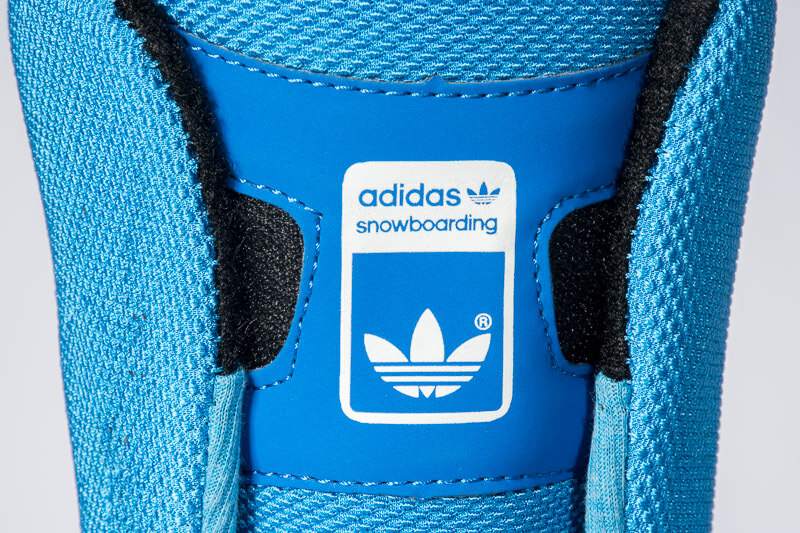 This entry was posted in Reviews and tagged Adidas Snowboarding, Eric Jackson, Forest Bailey, Helen Schettini, Jake Blauvelt, Kazu Kokubo, Keegan Valaika, review, Samba Boot. Bookmark the permalink.